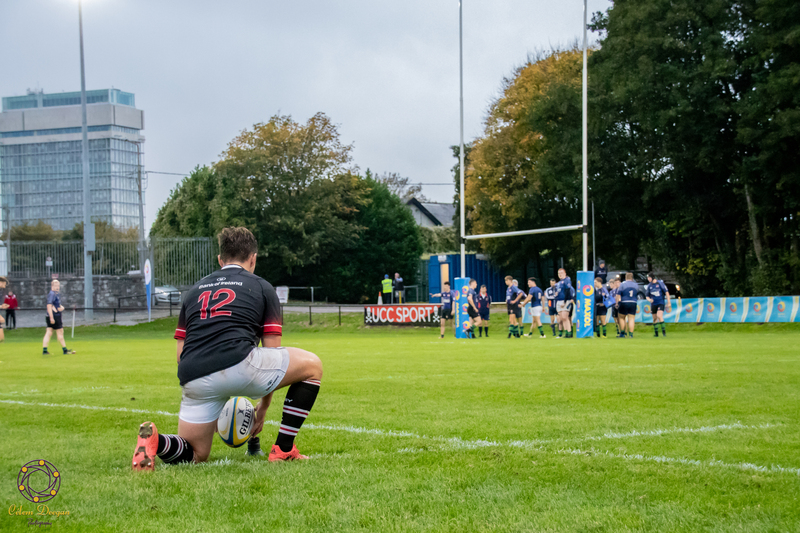 The Irish Universities Rugby Union (IURU) has been heaped with praise recently for its efforts to continue the development of 3rd level rugby in Irish universities, and UCC saw its chance to host a tournament when the Conroy Cup came to Mardyke on Saturday 20th October. The IURU is dedicated to the growth of 3rd level rugby through maximising opportunity, participation, and accessibility to the game of rugby for all players, male and female, regardless of standard. The IURU is also responsible for the Irish Student side, who play fixtures against other representative sides, both inside and outside Ireland. The Combined Universities have played against full International touring sides in the past, including a famous victory over the Springboks at Thomond Park in 1965. In recent years, the Irish Universities have organised fixtures against other European Student representative sides. The Conroy Cup, one of four domestic tournaments run by the IURU each year, was run in a blitz-style format with 6 teams participating and saw DUFC eventually securing the win. It was the 5th win in a row for the Trinity side. The tournament kicked off with two pools, UCC in the group with NUIG and DUFC, while UCD, Maynooth and Queens University Belfast faced off in the other group. The first round of games were held at The Farm before moving to Mardyke for the finals. UCC were unlucky to lose in the first game, succumbing to DUFC 11-10, but bounced back to beat NUIG 22-5 to make it to the 3rd/4th place play-off. Maynooth were out-and-out winners against NUIG in the 5th/6th place play-off, winning 33-0, while UCC made home advantage count as they beat QUB 16-8 to finish 3rd. DUFC and UCD both came through the pool phase comfortably and faced off in the final as a sizeable crowd gathered to observe. DUFC were in fine form and held the lead throughout the game, the final score standing at 18-9. A successful tournament all-in-all for the IURU and all the universities involved, as UCC showed off their hosting abilities. UCC are back in action in an IURU tournament this week as they hope to topple the reigning Dudley Cup champions UCD. The winner of that fixture goes on to face QUB in Belfast for a place in the final opposite DUFC.